The Dallas/Fort Worth Metroplex is not only one of the largest and most visited cities in the nation, it’s rich in cultural history, inundated with several large lakes, filled with museums of all types, and is a mecca for family entertainment. Below are a few of the best places for families to visit from the DFW Metroplex on a tank of gas. Lake Murray State Park, Ardmore, OK From Denton to the S. Entrance: 63 miles or 1 Hour, 12 minutes one way. Get out of the city and surround yourself in lush greenery for a weekend! Lake Murray State Park has activities for all ages including boating, children’s programs, golf, mini-golf, tennis courts, swimming, picnicking, a playground, camping, and more. If camping’s not your style, cozy up in one of their vintage hotel rooms or a remodeled historic cabin, and grab a meal at The Apple Bin Restaurant. Be sure to head to the marina and feed the fish, hike on the maintained trails, and visit Tucker Tower for some incredible photo ops! Sharkarosa Wildlife Ranch is a relatively inexpensive, hands-on wildlife experience that everyone must do! On the tram ride, they hang feed buckets on the outside of the tram and allow you to pet the baby camel and zebras as they’re eating. Near the entrance, they have a hands-on show and tell with the smaller animals like lemurs and kangaroos. There is also a small bucket train ride for kids and many other educational experiences! Kids will love running on the manicured lawns, walking along the garden’s paths, and gazing at the towering steel sculptures in front of them at the Nasher Sculpture Center. 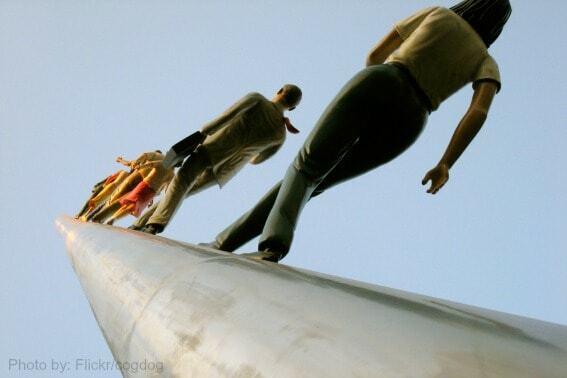 One of my favorites is Jonathan Borofsky’s Walking To The Sky, a steel and painted sculpture that stands 100 feet tall! The 1st Saturday of each month Target Sponsor’s a free day from 10am-2pm, where kids can participate in an art scavenger hunt, do an art activity, watch a demonstration, or take a family tour. The Texas Discovery Garden is the first public garden in the state of Texas to be certified as 100% organic and boasts a large 7.5 acres in the popular Fair Park Complex. Be sure to walk through the scent garden, especially with kids, as well as the native wildlife pond. The Butterfly House is another favorite with butterfly releases at noon, and an insect collection in the lobby. Family events are offered throughout the year, but our favorite time to visit is on Tuesday when the gardens are free (butterfly house is regular admission)! Irving Art’s Center is centrally located between Dallas and Fort Worth, which makes for an easy commute from anywhere within the DFW Metroplex. 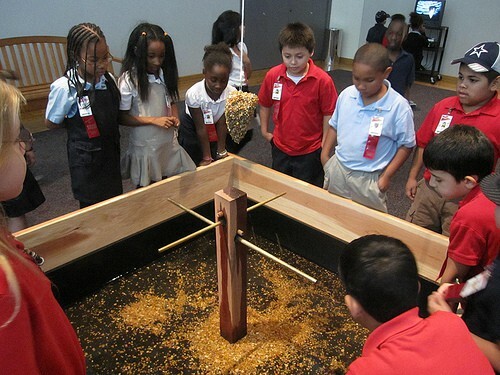 A meca for performing and fine arts, Irving Art’s Center offers free and low cost family programs throughout the year. Because it’s an affiliate of the Smithsonian, the Art’s Center can borrow artifacts from the Smithsonian’s 136 million object collection for future installments. Be sure to check the calendar and plan on spending a day exploring the museum and taking part in the free classes, workshops, storytimes, and fundays. Grapevine is one of my favorite cities in the DFW Metroplex! Not only is there a gigantic mall (Grapevine Mills) that houses LEGOLAND, SEA LIFE Aquarium, and the Rainforest Cafe, but the city is situated beside Grapevine Lake, has it’s own vintage railroad, and some of the best family hotels in the Metroplex! 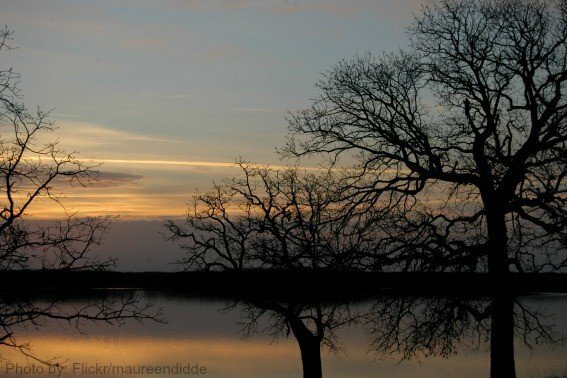 If you’re on a budget, spend the morning hiking under the trees along Grapevine Lake, or fishing next to the shore. 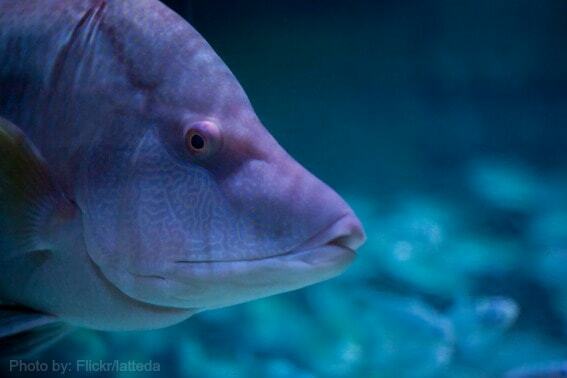 Then, take the kiddos over to Bass Pro Shop and identify the various fish inside their aquarium. Grab a bite to eat at the food court in the mall and walk the indoor mile-long path past the interesting retailers and activities. My kids loved walking inside the giant bubble on water and watching the “alligator” outside of the Rainforest Cafe! Here’s where to stay in Grapevine. 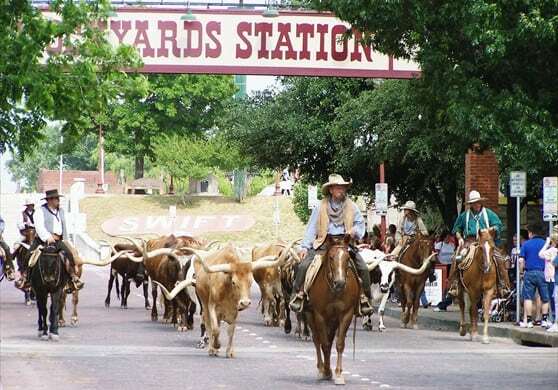 Giddyup Cowboys and Cowgirls and head on over to the Fort Worth Stockyards for a day of historical fun. Ride the Vintage Railroad, take a walk through the Cattlepen Maze, watch the Texas Cowhands drive a herd of Longhorn Cattle down the road (11:30am & 4pm daily), visit the petting zoo, and watch a real rodeo (Friday and Saturday at 8pm). Different activities cost different prices, so be sure to check in advance before moseying on over. Granbury, TX From Fort Worth, it’s approximately 41 miles or 50 minutes. According to Granbury’s Convention & Visitor’s Bureau website, Granbury is rich in Texas History, with a few of its famous and infamous guests or residences including Davy Crockett, John Wilkes-Booth, and Jesse James. For a fun family day in Granbury, start your morning off at Windmill Farms and drive or walk past the 40+ windmills that have been restored and are proudly displayed on the property. Then, head on over to the U.S. Veteran’s Museum with real airplane displays outside, reenactments, and artifacts from every war up-to-date. To satisfy those rumbling tummies, families will love grabbing lunch at the Groggy Dawg Grill and Marina, a floating restaurant right on Lake Granbury. 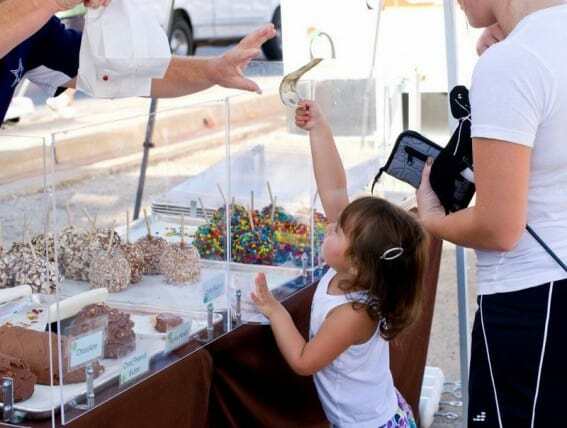 At City Beach, families can make large sand sculptures with the fine white sand found on Lake Granbury’s shores and then head over to The Art of Chocolate Shoppe for a quick treat. Before settling in for the night, be sure to catch a movie at Brazo’s Drive-In Theater, an authentic 1950’s theater for only $18 a carload! We have even more fun places to explore with kids in Granbury. We would LOVE to hear from you! If you’ve been to someplace family friendly in Dallas/Ft. Worth and have something to share about it, please visit Trekaroo.com, sign up for a free account, and write a review! Some great tips for a part of the world I don’t know that well! Having just become a dad two weeks ago I will have to look out for more family friendly attractions, such as these! Congratulations on becoming a father! We hope that Trekaroo will help you plan many future adventures with your little one.